The Norwegian Media Authority (NMA) has published a “Guide for Youtubers and Video Bloggers about Labelling of Advertisements” in June 2017. This Guide is aimed to help Video Bloggers and Youtubers to comply with the Norwegian Broadcasting Act concerning surreptitious advertising, product placement and sponsorship. 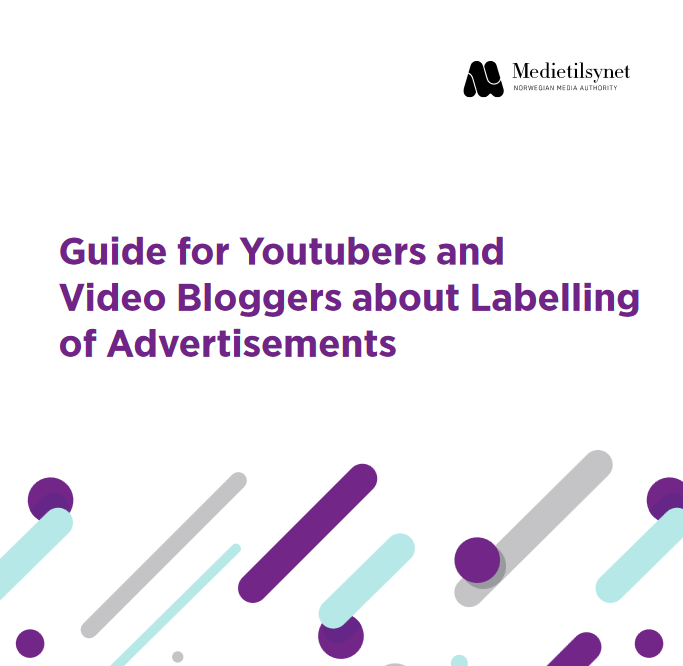 Written in easy to understand language, the guide also contains two explanatory videos: “Labelling of Advertisements on YouTube” and “Labelling of advertising on social media”, available in Norwegian and in English. This seems to be a topical challenge for broadcasting regulators: a few months ago, an experts' workshop on the same topic was organized by the Austrian Communications Authority KommAustria and the RtR entitled: "Dos and don'ts on YouTube, influencers between business, storytelling and legal framework". The Dutch Regulatory authority (Commissariaat voor de Media) also recently announced that one of its main priorities for 2017 will be to reflect on the areas of the online audiovisual world where there is no formal competence to intervene, such as video blogs. This guide is particularly relevant in a context where the European Commission’s proposal for a new Audiovisual Media Service Directive (AVMSD) includes ‘video-sharing platforms’ (such as YouTube) in its scope. The final version of the AVMSD Directive - currently entering the trilogue procedure - may also extend the scope further to cover services playing a significant role in providing programmes and user-generated videos to the general public, such as Facebook and the like. Along the same lines, the German Directors Conference of the State Media Authorities (DLM) published in 2016 a FAQ entitled: "Advertising in social media: questions and answers".